From OtterBox the Symmetry Star Wars Series Case for Apple iPhone X and iPhone Xs. 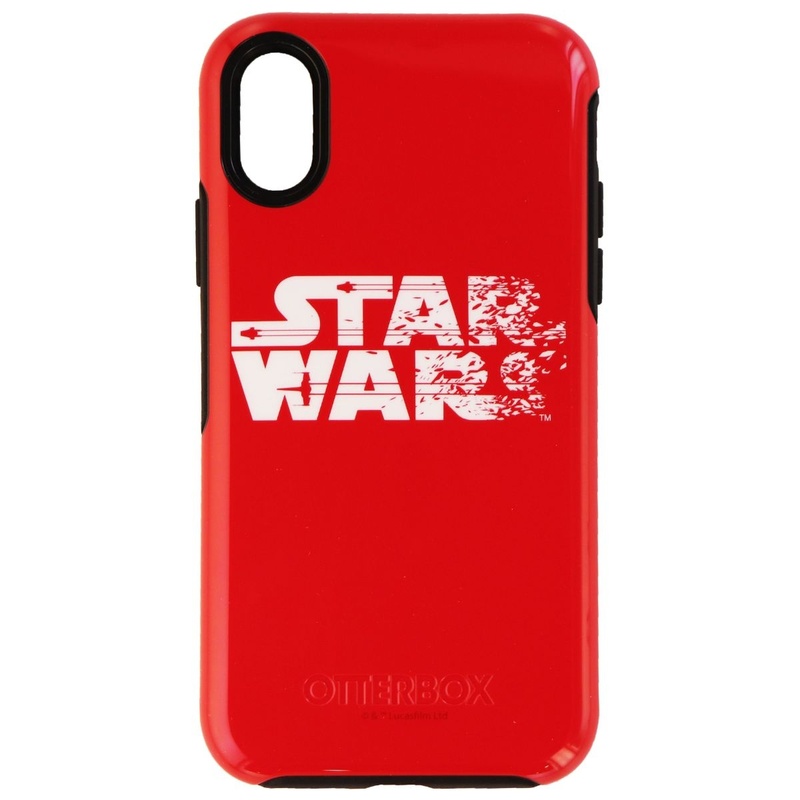 This case comes with Star Wars printed on the front with a Resistance Red background. - Thin, sleek, stylish, pocket-friendly design, with wraparound colors and graphics add seamless style. - Dual-material construction absorbs shock and withstands drops, plus raised beveled edge keeps your touchscreen safe.